Sudan’s Omar Al-Bashir stands accused of torture and the death of thousands, but he is getting a place at the table of the U.N. Human Rights Council. Tell me again why we are funding this clown show? Now the U.N. is allowing Sudan’s Omar Al-Bashir, the last person on earth you would go to for anything related to human rights, have a seat on its human rights council. Here is a little background on the ruthless African dictator; He has been charged by the International Criminal Court of war crimes in Darfur and is responsible for killing thousands of his own citizens. A renowned international human rights organization reminds that the Sudanese government has violently dispersed youth-led protests and that security forces have arrested and detained scores of perceived opponents. The Al-Bashir regime mistreats and tortures detainees and censors the media, the group, Human Rights Watch, writes in its assessment of the north African country. 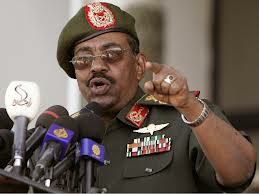 Additionally, Sudan’s indiscriminate bombing in civilian-populated areas has displaced hundreds of thousands of people.